Local Sourcing: 92% of our vendors are located within 120 miles of Saris. We’re talking steel suppliers, injection molders, painters, decal printers, tool manufacturers, even our corrugated box guy. It all amounts to a tighter grip on quality—and just as important, local jobs. 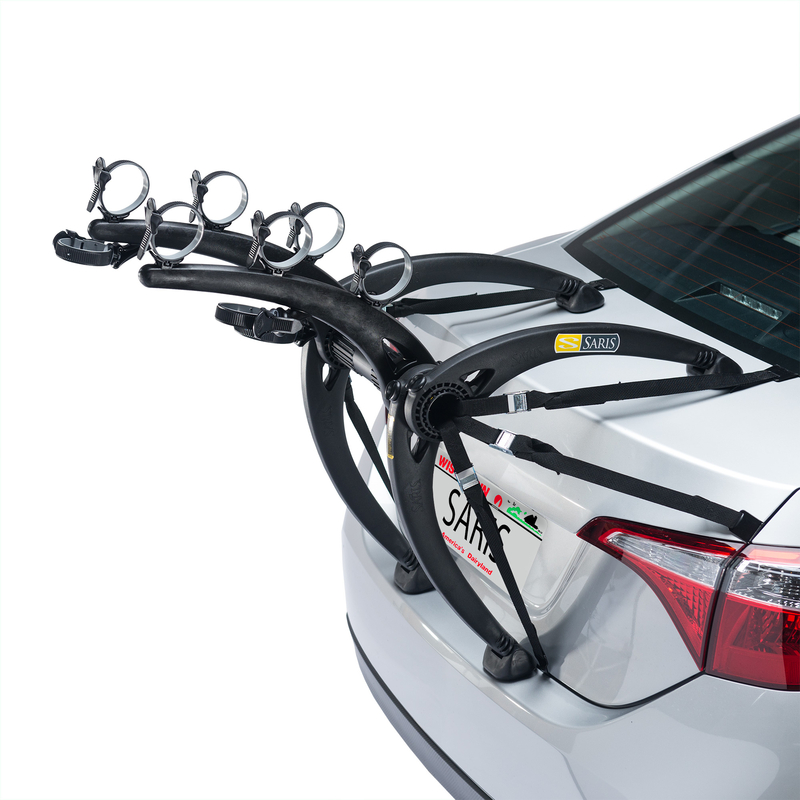 WHEN YOU WANT A BIKE RACK, YOU WANT IT NOW. WE GET IT. Designed to Run One: Our nimble production setup is “designed to run one,” which means if you order a rack and we don’t have it in stock, we’ll simply build one just for you. Really, who wants to wait around for some ship to come in when there’s riding to be done? 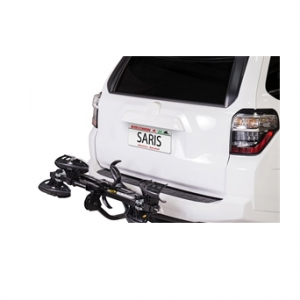 The Bones rack was conceived by Saris and famed Italian designer Fabio Pedrini. 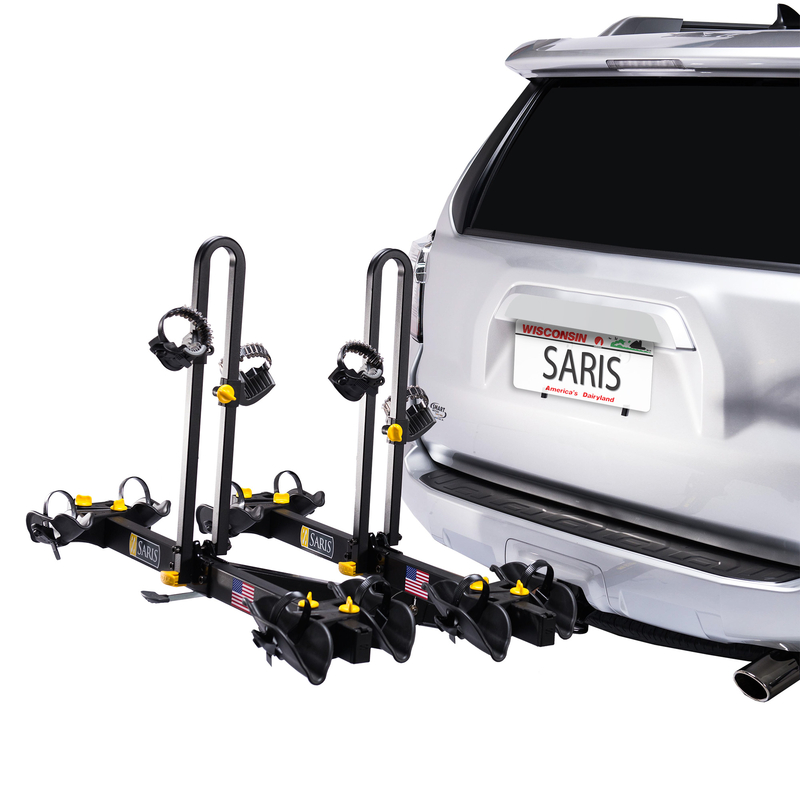 Awarded 4.5 out of 5 stars from Bicycling Magazine, Bones has proven that it’s more than just another rear–mounted car rack, it’s a tested statement of style, design, convenience and durability. There is a place where function and form collide. Where practical becomes practically gallery–worthy. And that has never been more true with the wide array of colors to choose from. 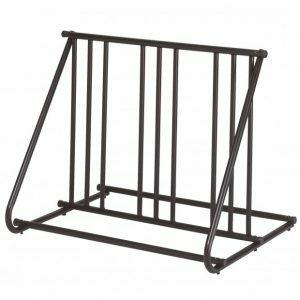 Built on all the favorite features of our best-selling Freedom 2-bike rack, the Freedom 4-bike has twice the capacity, making it the perfect match for cycling families. The ability to carry just about any style of bike out there means more time spent riding, and less time loading and unloading. While it’s always good to carry a spare, some spare tires can just get in the way. 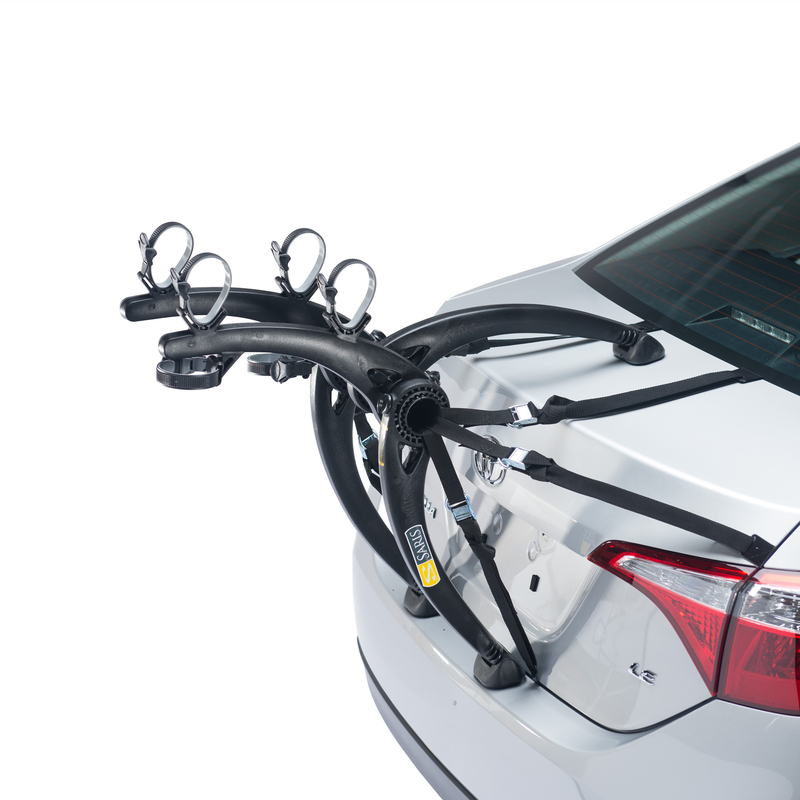 We understand that here, which is why we made the world’s first tray-style spare tire bike rack. Give the people you care about the bike parking they deserve with the Mighty Mite, up to 6 bikes. With its robust construction, eye-catching style and compact design that carries both bikes on a single bar, the SuperClamp is your bike’s new BFF. 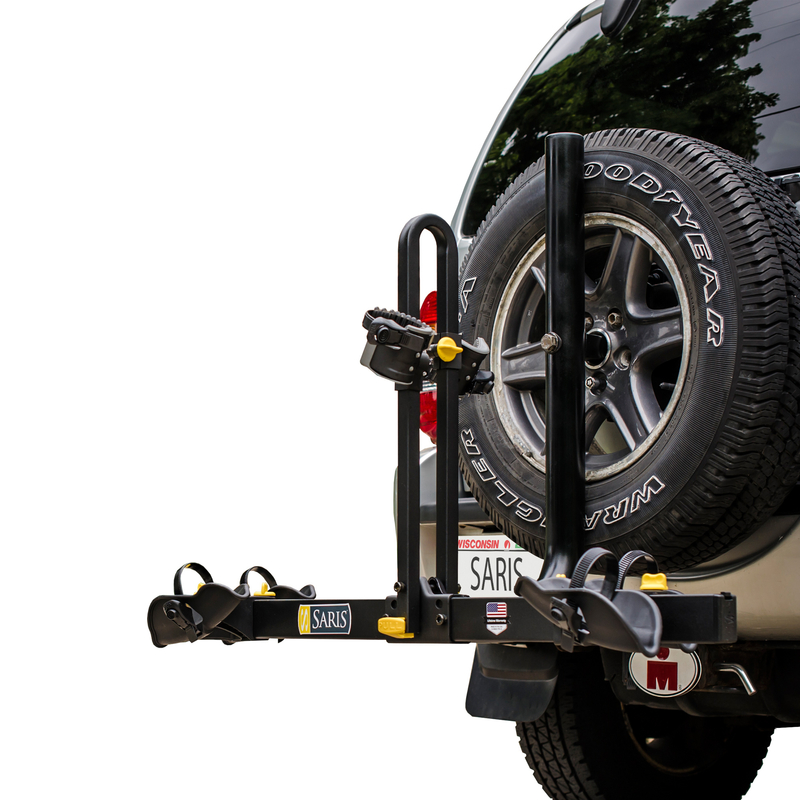 This lightweight – yet mighty – platform hitch rack is ready to hit the road at a moment’s notice. 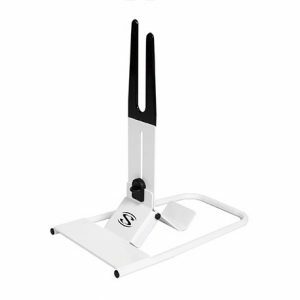 The Boss bike stand provides a low profile, secure way to keep your bike safe and upright at arm’s length. Perfect for use in the office, your home or on the road.